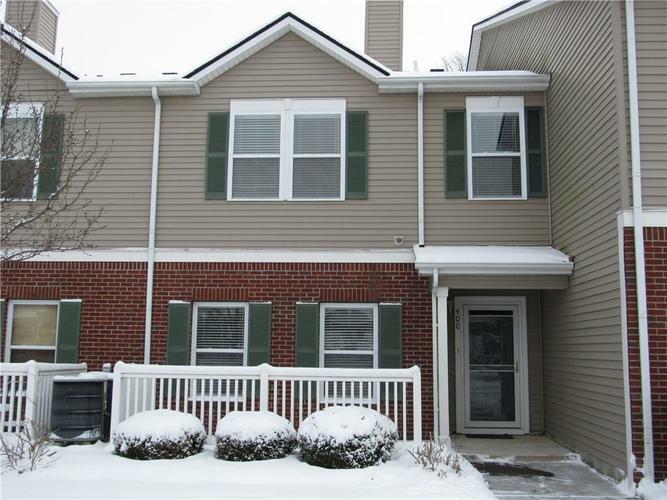 Very nice 2 Bed/ 2.5 Bath townhome in move-in condition in desirable Limestone Springs in Fishers. Large Living Room with fireplace, open Kitchen to breakfast bar/room, vaulted ceilings in Master Bedroom with walk-in closet and full bath, attached 1-car garage with additional storage space. This home is priced to MOVE YOU!!! Directions:136st between Marilyn and Brooks School. South into Limestone Springs addition (Travertine Way) turn left on Bubbling Brook (past clubhouse/pool) and left before the last building. Unit 400 is on the right.